As part of the project an offline calculation tool was developed, especially for experts and advisors. After completing the following form you can download this programm. After submission you will receive an email with information how to download the programm. 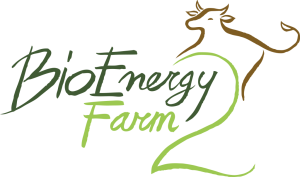 By using this tool I agree that my data is being used for the objectives of the BioEnergy Farm 2 project: project partners can contact me for project purposes. Below you find the templates created for the national farmer and farmer advisor workshops. Because of the diverse framework conditions the templates need to be adapted to the specific country needs. Below you can browse the presentations being held during the Small Scale Biogas Congress in Brussels, February 9th 2016.